Two major issues face the Church today: (1) False and unscriptural philosophies about truth such as political correctness, relativism, and pluralism have taken root not only among non-Christians, but among an increasing number of Christian's as well, and (2) biblical, doctrinal, theological, and apologetic illiteracy among within the Church has reached epidemic proportions. Many Christian's are unable to articulate what they believe or why they believe it, nor can they defend the essential doctrines of the Faith. This book was written for Christian's who desire to gain a better understanding of the fundamental, historical, orthodox doctrines of Christianity. It is a resource designed to equip believers for service in the areas of apologetics and evangelism. If we are going to properly represent the King and His kingdom, then we must be a people of the Word, a people adequately equipped with TRUTH! This book is a must for those who wish to serve the Lord and be effective witnesses in this lost and dying world. Why this book? Why this subject? Hasn’t there been enough already written along these lines? The answer to the last question is both yes and no. Many scholars and theologians have made great contributions to Christianity by writing and publishing books on Bible doctrine and theology that have aided millions of Bible students around the world in understanding their faith. So, in this introduction I would like to answer more completely those three questions. Over the last sixteen years, I have had the privilege of preaching and teaching the Word of God. One thing that many of my students, particularly in recent years, have brought to my attention that although they are able to find books on Bible doctrine and theology, in most cases these books are not written to be understood by the average Christian. They are desperate for a resource that will help them understand the cardinal teachings of the Faith and help them become better communicators of that truth. I can testify to the truthfulness of their statements. I am an avid book buyer and reader, and I have to agree that concise, straightforward, easy to read, easy to understand, non-technical books, particularly on the essential, orthodox doctrines of Christianity, are difficult to find. My prayer is that this book will help meet that need. Answering the why to this subject is a little simpler. The crisis of apologetic, biblical, doctrinal, and theological illiteracy in the church has reached epidemic proportions. Christians are having difficulty articulating what they believe and why they believe it. They are hard pressed to explain, much less defend even one of the fundamental doctrines of Christianity. Why this subject? Because if we don’t know what those truths are that we claim to hold as convictions, and we are unable to communicate and defend those essentials to some degree, then we are no longer light and salt in this lost and dying world. If the fundamental, essential, cardinal, non-negotiable orthodox doctrines of the faith are not worth knowing, understanding, and defending, then what is? These essential doctrines define Christianity and those beliefs define who we are as Christians. Why this book? Because there is a desperate need for all of us to be reintroduced to those central teachings and to gain a fairly good understanding of them. We live in a day and age in which many false philosophies about truth have saturated and taken root in our society, even among many within the church. The common denominator among all those false philosophies is the teaching that there is no such thing as absolute truth, an assertion that refutes that very teaching. But if Christians cave to those philosophies and fail to stand for TRUTH, then who will? It is incumbent on us to know truth and to be able to communicate and defend it in a world that is starving for it. Millions will be saved by the grace of God as they trust Jesus Christ as their Lord and Savior because Christians are effectively communicating and defending the truth of the Gospel, showing their commitment and faithfulness to the Lord and His commands by being a people of the Word, able to give others the reason for the hope that is within them. Needless to say, this book is not meant to be an exhaustive treatment of the doctrines covered. The idea behind this project was to create a concise resource that would highlight the essence of the essentials in an easy to read, easy to understand presentation. The book is filled with Scripture references that will point Christians to the evidence the Bible provides for those convictions. The idea is to help Christians regain an understanding of the fundamentals of their faith and to equip them for service so that they might become more effective witnesses in their lost and dying world. If we are going to properly represent the King and His kingdom, them we must be a people of the Word, a people equipped with truth and with the ability to effectively communicate and defend that truth. It is my prayer that this book will bring honor and glory to the Lord Jesus Christ and that it will be used by Him to further the cause of the kingdom. For those who want to be able to reach others with the wonderful message of God’s Word, this is a must have resource. 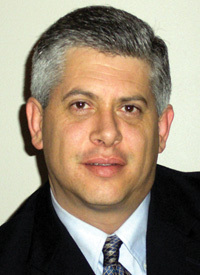 Dr. Miguel J. Gonzalez (Th.M., Th.D.) has had an active preaching and teaching ministry for over 25 years. He is an author, the founder and president of Reasons for Faith International Ministries, and the Bible teacher on the weekly radio and television program Truth to Live By. Dr. Gonzalez, his wife Mary live in Charlotte, North Carolina.